SaaS is an extremely fast growing market, estimated at $73.3B with a growth rate of about 20%. Enterprises are rapidly adopting the SaaS model and are re-allocating resources from on-premise software solutions to SaaS products. Both customers and software vendors see an advantage in moving to a SaaS model for its multiple benefits, such as greater agility, better ROI, faster growth. Unfortunately, a vendor,s desire of moving to a SaaS product is not easily achieved. Building a SaaS product requires a prolonged process of developing backend services and requires reinventing the wheel for every new SaaS product brought to market. Nowadays, software vendors build SaaS products mostly via in-house development teams who build internal SaaS backend services, on top of commodity clouds(IaaS and PaaS), while developing services such as, subscription management, multi-tenancy, billing, application lifecycle management, and service level management. By doing so companies pay millions of dollars on development and operation, and the time-to-market of a new SaaS product is delayed by years. JovianX is a SaaS backend platform, that helps software vendors build their SaaS product remarkably fast, with the development team focusing on the vendor’s core functionality, instead of backend services. JovianX does this by providing companies with common services and tools in a single pre-integrated platform, which contains all the familiar SaaS building blocks out-of-the-box and as-a-service. JovianX sits at the frontier of technology commonly used by web-scale companies(such as Google/Facebook/Netflix), and develop their platform on top of them. By using the latest and greatest open-source and cloud-native technologies, such as container orchestration, Kubernetes, Docker, Helm, Serverless and others their platform allows managing multi-cloud offerings, including Google Cloud Platform, Amazon Web Services, Microsoft Azure and Digital Ocean. Leading JovianX is Arthur Berezin, CEO, a technology leader, who held senior product management and hands-on technical positions at Red Hat, Cloudify, LivePerson, and Matrix as well as a unit 8200 alumni. 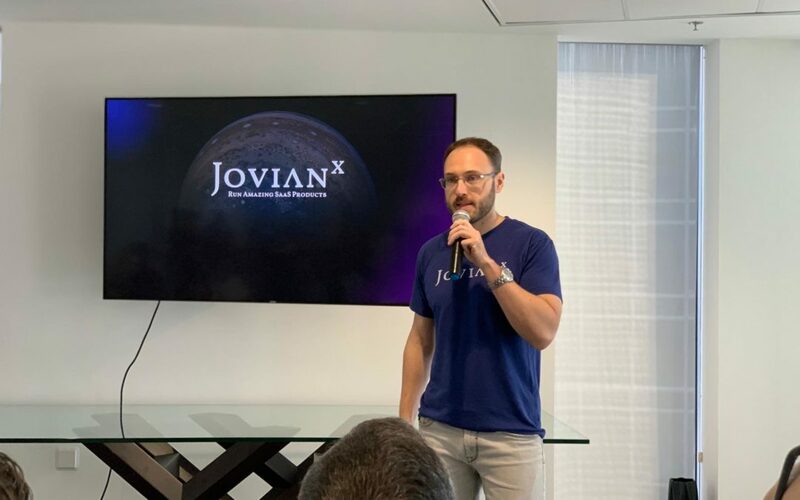 His vision for JovianX is to become the standard way of building SaaS products while allowing SaaS vendors to focus on their core product’s value proposition and let JovianX take care of the rest! “SigmaLabs is an amazing program surrounded by top-tier mentors. We received constant feedback from 2nd and 3rd-time founders who shared with us their experience, success, and failure. The time at SigmaLabs was priceless!” says Arthur.